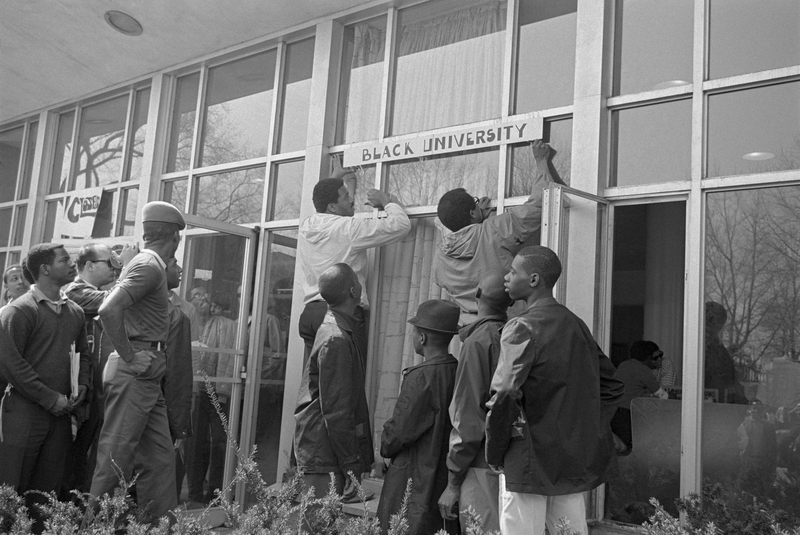 On April 11, 1968, the Civil Rights Act of 1968, known as the 1968 Fair Housing Act, was signed into law by Lyndon B. Johnson after it passed through Congress the day prior. 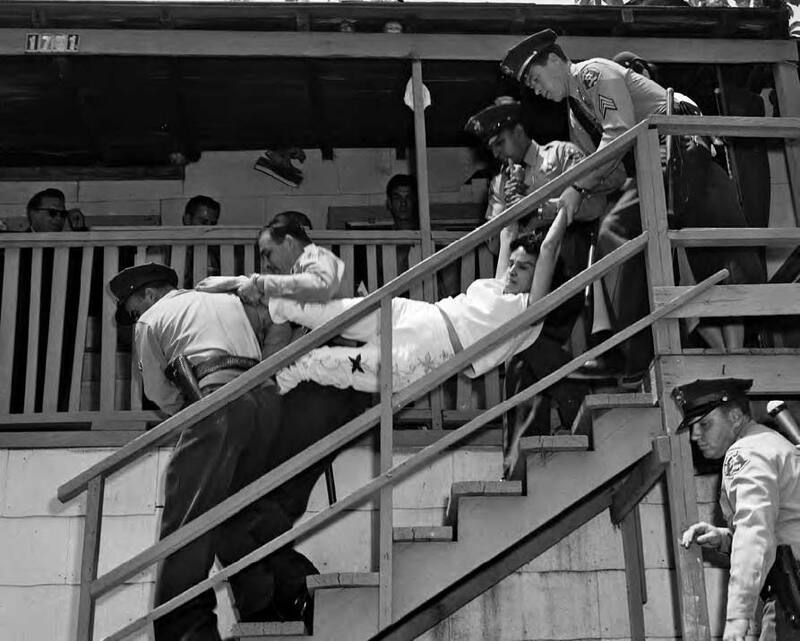 This Act was the result of years of grassroots organizing and protest across the United States. 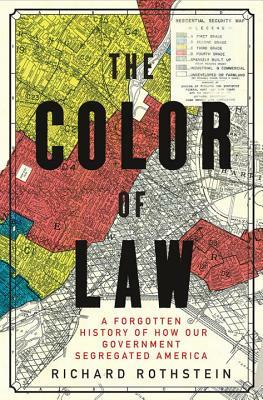 People demanded just treatment by landlords and equal access to housing in all parts of the country, not just in the “Jim Crow” segregated South. 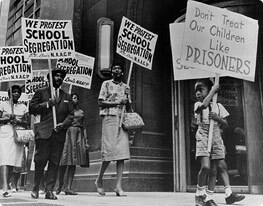 The story of the fight for fair housing in Seattle (as shown in photo below) is one of many examples to share with students to counter the myth of Jim Crow and the Civil Rights Movement being limited to the South. CORE-sponsored demonstration at realtor office of Picture Floor Plans, Inc. Source: Seattle Municipal Archives Digital Collections. 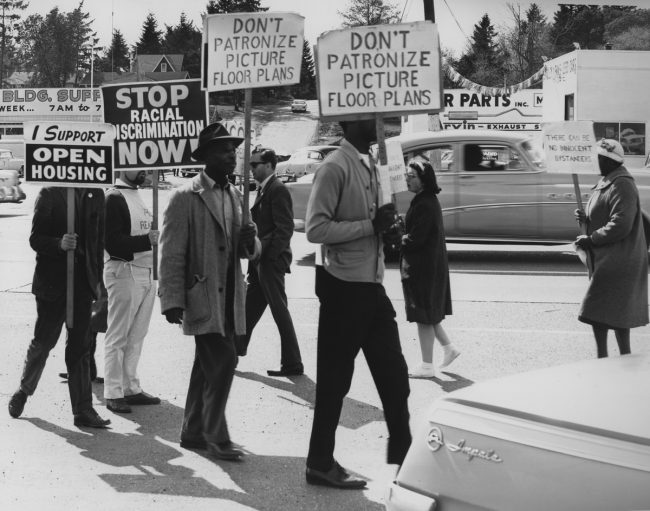 Read more about the fight for fair housing in Seattle on the Seattle Civil Rights and Labor History Project website. 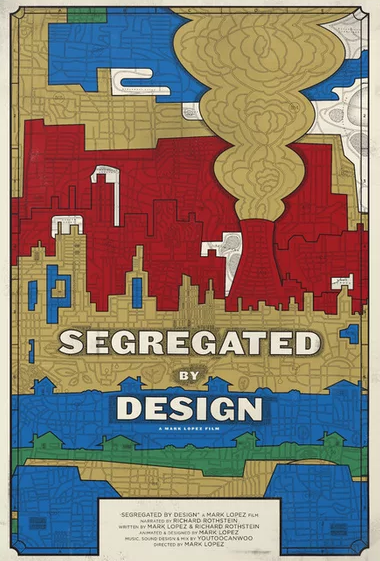 Introduce the history of housing segregation to students through the 17-minute animation based on the book The Color of Law, Segregated by Design. As Ursula Wolfe-Rocca outlines in the tweet thread below, the discrimination continues. Click tweet to read full thread. Film. Directed by Mark Lopez. Written by Mark Lopez & Richard Rothstein. 2019. 18 minutes. 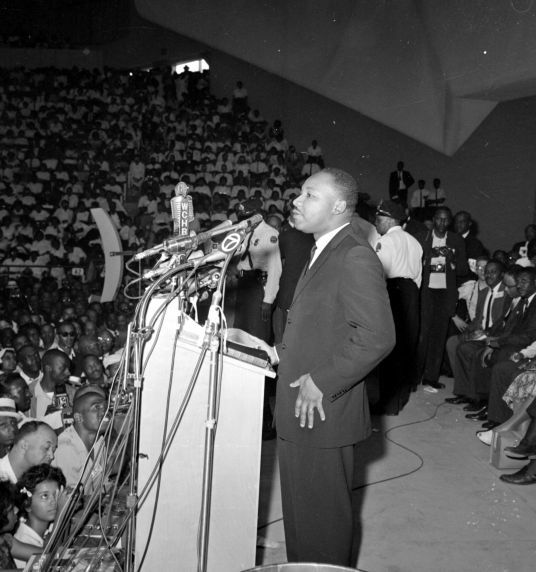 Dr. Martin Luther King Jr. gave the speech titled “The Other America” focusing on the economic inequalities corroding American society. 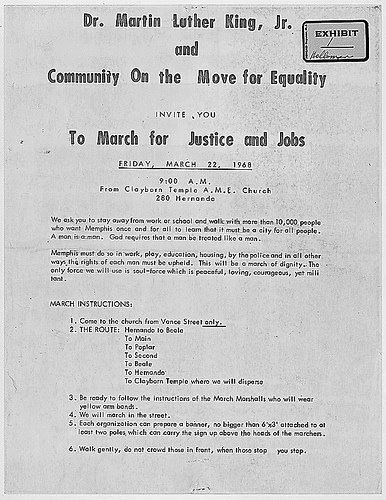 Dr. Martin Luther King Jr. and the Community on the Move for Equality called for a march in Memphis in solidarity with sanitation workers.